PX4i RFID - Streamline deployment! Smart, strong and secure, the multifunctional PX4i RFID printer delivers outstanding, 24x7 performance for mission-critical RFID applications. Its multiple interfaces, advanced connectivity, and support for EPC Gen 2 ensure easy integration and scalability. 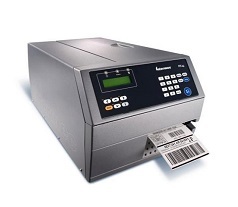 By using frequency-agile RFID tags, the PX4i RFID can simultaneously encode and print labels for use worldwide. Best suited for: Logistic centres and manufacturing plants.